The Remington brand is one of high quality at a cheaper price point. For instance, The Remington Electric Foil Shaver shown here is around $30 dollars on Amazon. It’s about at a medium price point, and it’s a good product for the price. On Amazon, it received an overall 4 star review based on over 200 customer reviews. 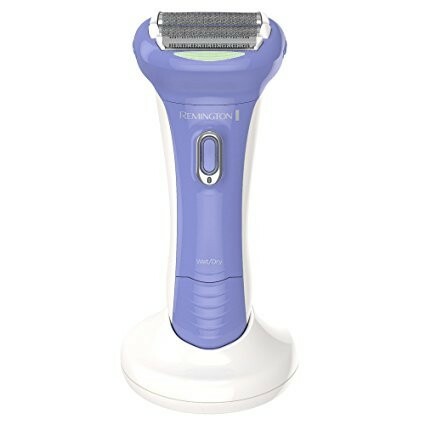 This shaver has many features including Smooth Glide Technology. Smooth Glide Technology is an open-blade cutting system that allows the hairs to pass more easily through the foils for a closer shave. 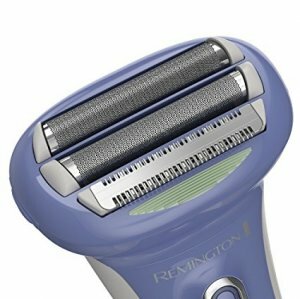 In addition, the Remington Electric Foil Shaver also includes an Almond Oil Strip for smoother shaving as well. See below for more features on this shaver. It has Smooth Glide Technology and an Almond Oil strip for a closer shave. It has an Optimal Angle Head, which helps get a more even shave. There are 4 blades in this shaver and hypoallergenic foils. It is 100% waterproof, so it can be used in the shower. It has Lift Logic Foils that angle the hairs toward the shaver. It has a Soft-Touch Grip, which helps you avoid it slipping out of your hand. Some customers say it does not give a close enough shave, which can be frustrating. Some customers say the older model of this razor works better than this newer one. Some customers say that the on/off switch has messed up sometimes. Some customers say that you have to shave over and over to get a closer shave. All in all, most customers think this Remington WDF5030 electric shaver works well. With all of the factors of the shaver, such as the Almond Oil strip to moisturize the skin and the Smooth Glide technology, this shaver aims to give you a close shave. It’s worth the money to try it out, and although there are some negative reviews, the positive reviews outweigh the negative ones. A competent shaver sitting at the mid price point with some unique selling points.